Eating fish thrice a week is sufficient to give you your omega 3. Don't eat fish every day. Excess of omega 3 can lead to other problems. Many people tend to over do a good thing and then it becomes bad. Not all fats are equal. The omega 3 fatty acids are essential to our bodies, unlike other fats that cause diseases to our bodies. By the term "Essential Fats" we mean that unlike other fats, they cannot be manufactured in-house within our bodies. You need to get them through external sources such as eating the right foods or taking supplements. Apart from it, they are also good for our bodies. Why do we need omega 3 fatty acids? Without sufficient amounts of these fatty acids the blood vessels that transport blood and oxygen to our heart become obstructed. They are narrowed down by the formation of plaque collecting on the blood vessels wall. The flow of the blood through the arteries slows down causing undue stress on your heart and possibly a heart attack. This plaque is caused by a high content of cholesterol in your blood. If you are diagnosed with this malady, you will be put on a low cholesterol diet and drugs. This will be for the rest of your life. If you are taking sufficient omega 3 in your diet, you may never experience that. You could have a healthy heart for life. It is not at all difficult to incorporate omega 3 into your diet. There are many food that contain omega 3 and I am seeing more being supplemented with it all the time. Only problem I see with the supplemented foods is how to know whether you are getting enough or in excess. The main source of getting omega 3 in your diet is fish. Omega 3 can be found in tuna, salmon and halibut. 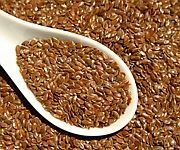 Then there are seeds that contain omega 3, sunflower seeds and flax seeds. Nuts are some of the very good sources but not my favorite, cashew nuts. English walnuts are the best source. Peanuts too contain omega 3 therefore peanut butter can also be considered to be a viable option. Just be aware of the fact they can make you fatter if you over eat nuts or peanut butter. You should prefer the nuts that are free of salt. If you haven't yet been determined to have heart disease, then its great! But if you show any of the symptoms such as, always tired, short of breath, weak or you have some sort of a pain in your chest, you may have it. Pain that travels down your arms, back, neck and stomach area could be signs. If you have any of them, it would be a good idea to see your doctor. If you have not had signs of heart problems, then it would be a good idea to start taking omega 3 to prevent the development of the heart disease. If you are already undergoing some treatment, it could still be a good idea to take supplements or eat the right foods to get it, but please make it a point to consult your doctor before starting it. The typical dosage of omega 3 will be on the bottle of the supplements, if that is how you choose to take it. Usually 3 grams daily is the recommended dosage. I take a 1 gm tablet thrice a day. 3 gms tablets are also available, which you can take once a day. That is better and I will be looking to buy it next time. Lower your risk of having a heart attack and start living a healthier life today.